C.R.E.A.W: THE MOST EFFECTIVE HUMAN RIGHT ORGANISATION IN KENYA. The effectiveness of Kenya’s human right system has got many challenges and this does not allow the citizens to freely express themselves. It is either influenced by politics which makes the women victims of the consequence. It is a saying in Kenya that “if we warn you and you don’t listen, we will shut you down.“ It is for this reason that Center for Rights Education and Awareness (C.R.E.A.W), a non-governmental, non-partisan organization based in Nairobi, Kenya. This life transforming organization was set up in 1998 by several women lawyers who had common goals and purpose: a commitment to confront the low awareness of women’s real needs and rights in society. Hello guys and our entire readers of this blog, we wish to inform you that we will be on break from December 2, 2012 will be resuming on the January 10, 2013. During this period there will be no new posts on this blog. We will be bringing you exciting and and mind blowing interviews with our African heroes. You might be the one we will be talking to soon. We will be adding videos and other features to this blog. Sorry for any inconvenience. We are therefore asking our readers and everyone to post their suggestions about this blog and what we can do to make it more exciting and presentable. Please you can email- emeritus2011@gmail.com and tell us your suggestions. EXCLUSIVE INTERVIEW WITH BRIGHT SIMONS. Bright B. Simons is the Director of Development Research at IMANI, and the Coordinator of the mPedigree Network. He performs a range of functions for IMANI related to social marketing, research and coordinating alliances. These duties have involved speaking engagements around the world and led to numerous quotations in the international press, ranging from opinions in the Asian Times to appearances on the BBC. In 2009, he joined the World Economic Forum’s Technology Pioneer Community at Davos. 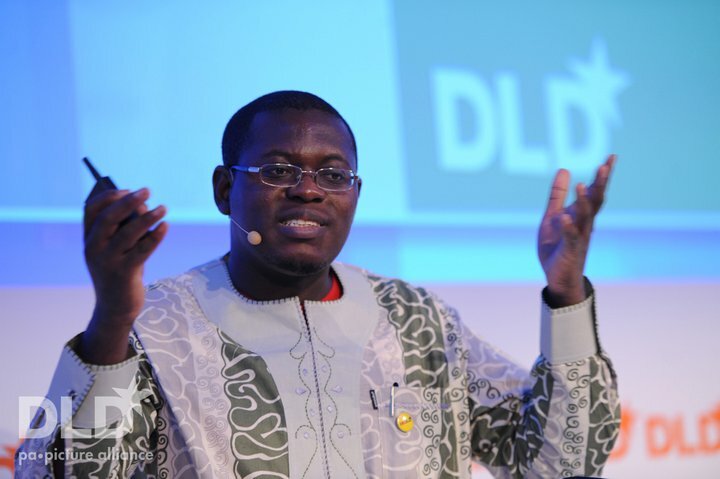 Bright, a TED and Ashoka Fellow, is a member of the Evian Group, and an active member of other development-focused societies in Africa and elsewhere, including the Global Agenda Council on the Future of Mobile Communications of the World Economic Forum. He is a recipient of numerous awards, ranging from Marie Curie and Commonwealth Vision Grants to a PPARC Scholarship in Gamma Ray Astronomy. @Kofiemeritus: What really sparked the idea behind MPedigree project? @BBSimons: Between 2004 and 2005, I was committed to returning to Ghana after a number of years in Europe, where I was involved in social activism. Having previously been a student activist, I was somewhat frustrated by the results the activist community was getting in connection with a number of critical social issues. I wanted to do something that was likely to have more measurable and transformative impact. Something which could paint a clear “before and after” picture for a particular social issue of high significance. I was convinced that social entrepreneurship was the right path to follow and I had already begun reaching out to organisations like Ashoka. Seeing however that I was committed to solving a high-impact problem and yet had very little resources, I saw mobile phone technology as the best ally in addressing the goals I had in mind. The infrastructure was already widespread and entrenched; all I had to do was negotiate access. Convincing major organisations to come on board was a challenge that appealed to my activist mindset. Because I also maintained connections to the policy community, partly because I was then an adjunct fellow at IMANI, I had access to some persuasive voices. I teamed up with some doctoral students after I came up with the first concept – using mobile technology to enhance agricultural supply chains. That project however required more resources than we originally anticipated. But the experience was priceless. Before I finally relocated to Ghana, I came face to face with the problem of counterfeit medicines while exploring the original supply chain issue. I knew immediately that this was the supply chain issue that most fitted the concept I had developed and mPedigree was born. 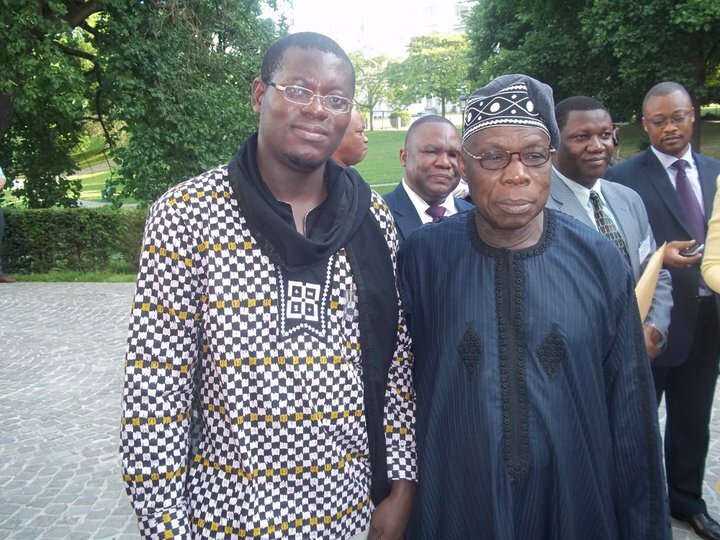 @Kofiemeritus: Tell me briefly about the mPedigree project and the social problem it solves. @BBSimons: mPedigree enables manufacturers and marketers of medicines to uniquely track each pack of medicine through a labeling technique known as ‘serialisation’. When consumers buy a pack of medicine that has been serialized, they are able to send a unique serial ID on the pack to a secure hotline for an instant response whether the pharmaceutical is of sound quality or not. The service is completely free of charge to the consumer/patient. The goal of the service is to protect consumers and patients from the super harmful effects of counterfeit medicines which are estimated to kill more than 2,000 people daily. mPedigree works with several telecom companies and global technology companies like Hewlett Packard to provide the service. @Kofiemeritus: How easy was it to come up with the name of the company & product? @BBSimons: I always believed the success of the project will hinge on how holistic it was. Since we were committed to gradually deepening the service to cover the entire supply chain, we were very attracted to the word ‘pedigree’ which connotes full assurance about the origin of a species. The ‘m’ stands for ‘mobile’ or for some people ‘master’, ‘modular’ or ‘monitor’. @BBSimons: The original goal was massive: to create a system to completely illuminate the supply chain of medicines across Africa and South Asia. We have never wavered. We have never deviated. So far we have only achieved bits and pieces of it in about half a dozen countries in Africa. Our passion is fuelled by the urgency to see that original mission to its conclusion, bringing on board as many partners as possible, and inspiring as sustainable a whole new movement. @Kofiemeritus: What has been the greatest hurdle to have overcome in the course of implementing the mPedigree project? @BBSimons: There has been several. For a start, we started with very little resources and still run on a super-lean budget. You learn to do only the things that matter most, and to focus on core values when there isn’t a sea of resources to splash around. But it can also mean that things take longer. As an African organization, our influence with global organisations has been predictably limited. Given the global character and scale of the problem we definitely need more influence to make more progress. We have also not been very impressed by the orientation of several of the governments in Africa to this problem. Sometimes, regulation has tended to get in the way rather than smooth things along. 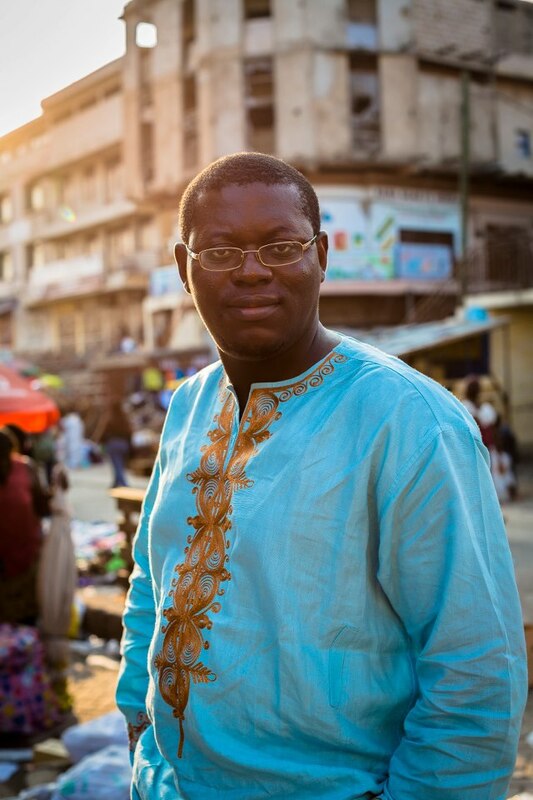 @Kofiemeritus: How does your work with IMANI Ghana shape the future of Ghana and Technology? @BBSimons: I strongly believe that social and technology innovators in Africa ignore policy and politics at their peril. The challenges of the continent are such that innovators require a strong exposure to both in order to advance the new models that are required to scale fresh solutions in Africa. I believe working with IMANI has broadened my understanding of critical social and political issues and given my work a more sophisticated edge. As you probably know, IMANI has been very active in pushing policies that advance telecom development in Ghana. @Kofiemeritus: Have you passed up any opportunity which you now regret? Are you happy with your current career and job? @BBSimons: Well I could have charted an academic path and perhaps made some original contributions at the cutting edge of scientific scholarship. God knows more African voices are needed in global academia. But I believe becoming an entrepreneur while maintaining strong links to the policy and research communities should ultimately make my contributions to knowledge even sharper and original. 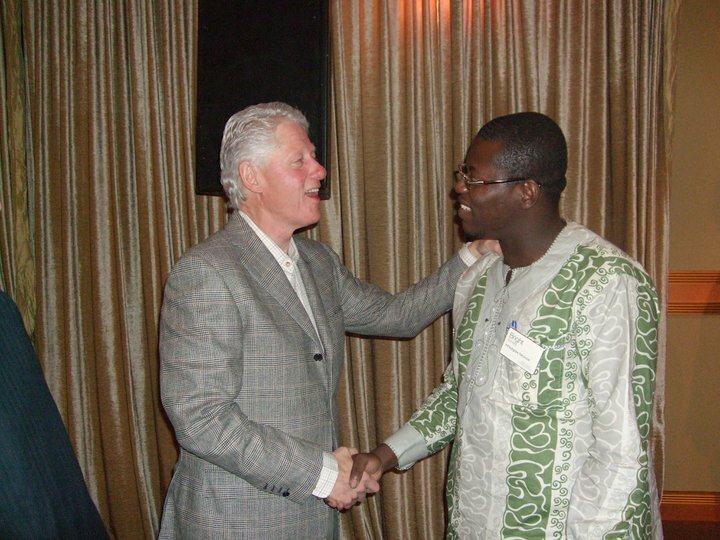 @Kofiemeritus: You have met a lot of great people, How was meeting former President Clinton and President George Bush like? Any memories to share? @BBSimons: I am always touched by the complexity of these encounters. 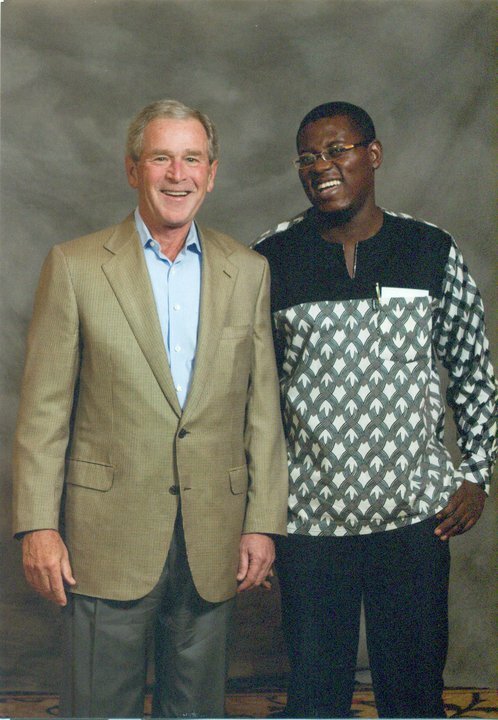 I was surprised to learn that President Bush was quite intimately familiar with Ghana. He rattled off several facts and names that left me truly astounded. President Clinton, while not referring to Ghana specifically, came across as very policy-conscious in how he views Africa. He is a fan of the mobile technology revolution going on here but he appeared concerned about the pace of policy innovation to go alongside it. @Kofiemeritus: What is your greatest dream for Ghana? @BBSimons: A new EGYPT and ABYSSINIA rolled into one. A modern African country that does not rely solely on past glories, but strives to make original contributions to knowledge, innovation and intellectual excellence in world civilization. @Kofiemeritus: What are some of the books you read that you will encourage young ones to read and what is your favourite quote in life? @BBSimons: I am fond of books that address the foundational and fundamental essence of social and political organization, especially in the context of Africa. Generally, anything by Steve Biko, Hayek, Achebe, Freire and the early Diop. @Kofiemeritus: What practical advice will you have young Ghanaians with dreams of starting their own business; courses to take in schools, groups/associations to join, mentors, etc. @BBSimons: The greatest skill in my view is to use failure, rejection and disappointment as motivational forces to achieve more. Be angry, not depressed. Embrace anger, not self-pity. If someone won’t play fair or right by you, it’s their loss not yours. Don’t waste your time fighting irrationality – the social system is dysfunctional, so it can by definition not be rational. It is to be uprooted not reasoned with. Fight, rage, start something else. Never let rejection take you down. Learn from your mistakes. Be furious about injustice. Be committed to seeing the dignity in all fellow human beings realized. Find trustworthy friends, and stick to them with the fierce loyalty of a warrior to her companion in battle. If you think solely of your success, it will be hard to rebounce after each failure. Go to bed believing that your success will bring meaning to a million lives. That is the only way to effectively harness anger without being self-destructive in a world where everything is much harder than one could ever have anticipated at the start.